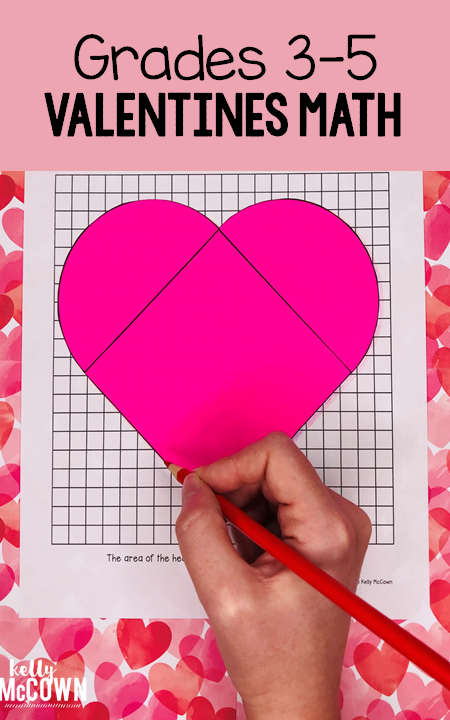 Do you want to engage your students in Math on Valentine's Day? Do your students enjoy activities and puzzles? 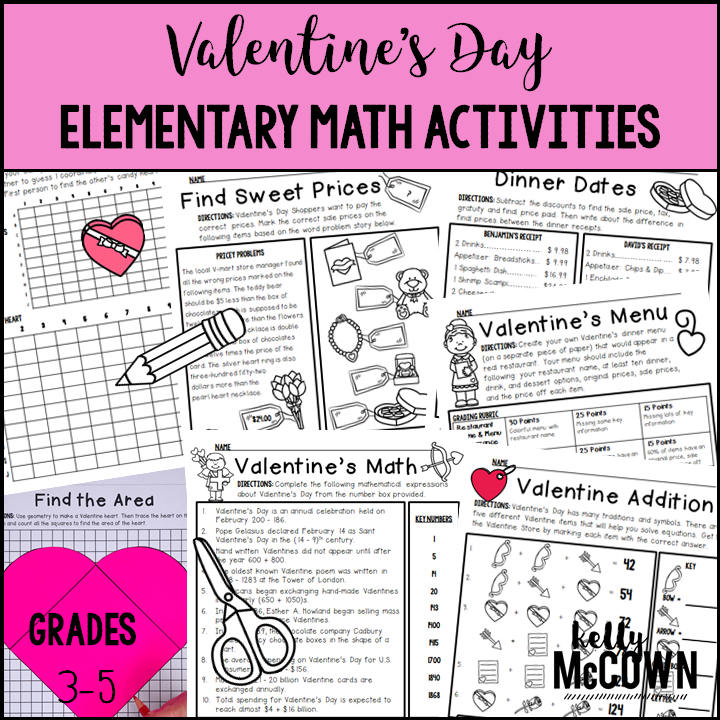 These Valentine's Day Elementary Math Activities are NO PREP and ready to keep your third, fourth, and fifth graders engaged! This packet is just plain fun. Not only is it PACKED with grade level common core math problems, it also gives students fun coloring, puzzles, and problem solving. Other teachers have used this packet for morning work, class work, or fast finishers. There are nine different activities that students can complete independently and review key math skills. All activities are centered on reviewing Upper Elementary math curriculum. 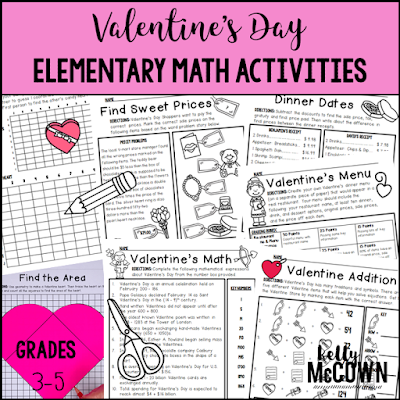 Get your students engaged in Math this Valentine's Day! From buying gifts to calculating dinner costs, there are many teachable math moments.